OnCrawl Log Manager Tool is an interface that can help you understand your logs deposit and parsing process. Sometimes something goes wrong with a logs deposit, bot hits are abnormally under regular trends or Crossed Analysis looks very low. 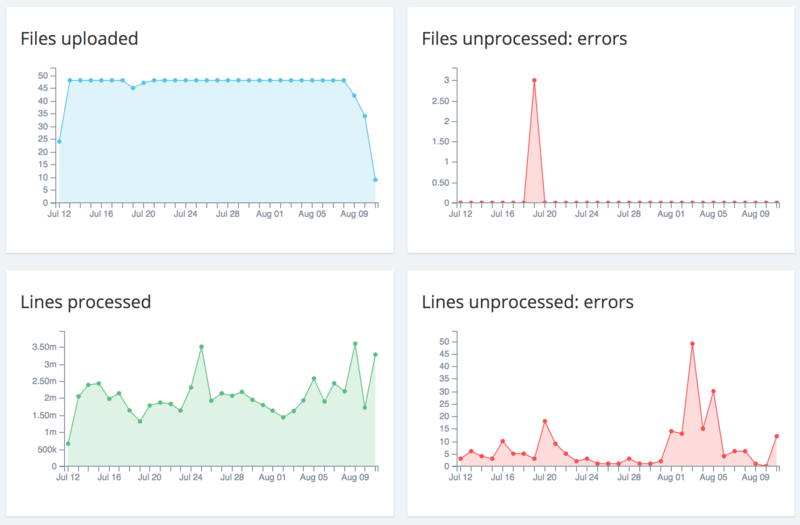 In these cases, you can check by yourself what is going on using our "Log Manager tool". This tool is available on each project's home page, on the top right of the screen. Click on the "Settings" menu, then on "Log Manager Tool". You can follow your logs deposit processing. What kind of information can you retrieve? "OnCrawl Activity" shows information about OnCrawl steps. First, OnCrawl reads files and then exports data. You will have access to all data when the export process is completed. 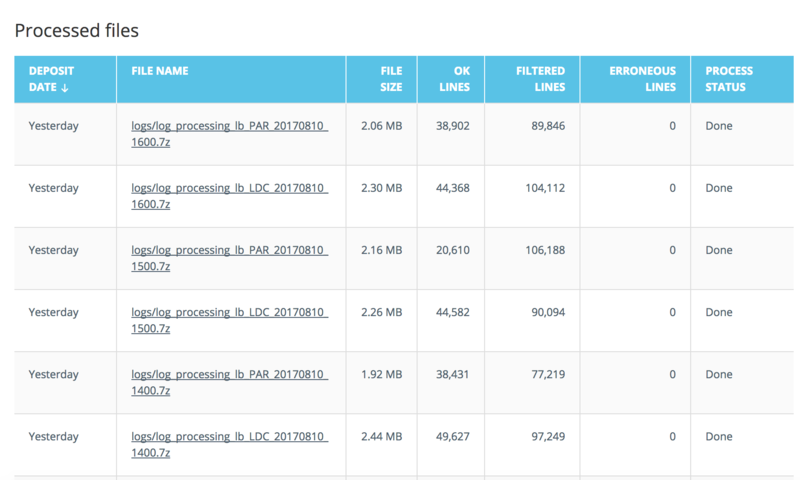 The second part of the tool displays graphs showing the deposit and parse metrics processing. On the first row, you can daily follow the number and quality of uploaded files. On the second row, you can follow ok lines and errors lines. 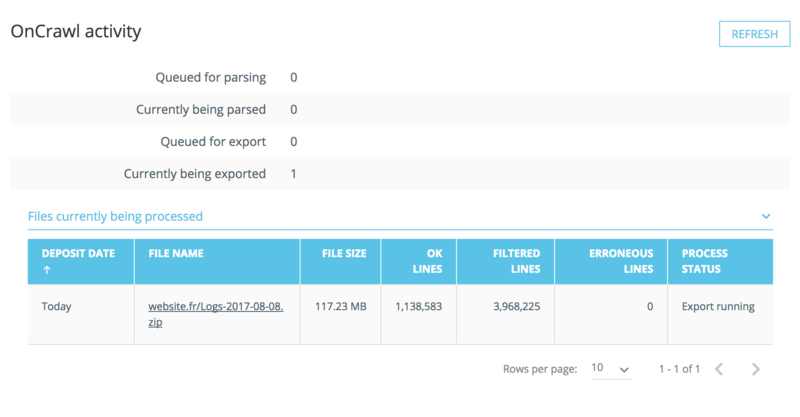 The last part of the tool returns an explorable data table with information about files names, dates of uploads and important informations about OK Lines, Error Lines and filtered lines. Each file name is clickable to explore a part of the file. You can quickly understand what OnCrawl has aggregated. How to check logs upload health? You have to follow trends about these last metrics. Files size and ok lines should follow a regular evolution, have low erroneous lines and no warnings in the processing status to indicate that everything is ok.